Star Wars mania is poppin’ with the release last week of Star Wars: The Last Jedi in theatres. If you want your Star Wars excitement to continue this work week, here are a couple related deals for you. First up, Star Wars Pinball 5 for iOS is currently free (the last day is today), normally priced at $1.99 USD in the App Store. While there are also in-app purchases, you can still enjoy the game without buying anything. 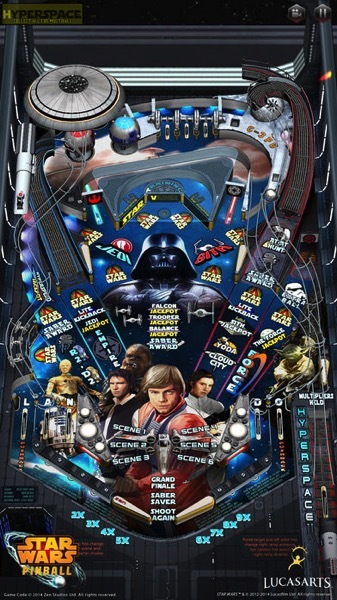 Click here to download Star Wars Pinball 5 in the App Store. Next, Amazon.ca has a sale on the Star Wars The Black Series Obi-Wan Kenobi Force FX Lightsaber, which is available for 35% off at $127.44 (save $67.55), the lowest price ever on Amazon.ca according to price tracker CamelCamelCamel. This is a replica of the Jedi Obi-Wan Kenobi’s lightsaber from Star Wars: A New Hope, and has an accelerator for battle sounds and clashing effects with light up blade, that powers up and down. I don’t know why you would need something like this, but who cares. Just buy it—you do want to win Christmas, don’t you? Click here to jump on the Star Wars The Black Series Obi-Wan Kenobi Force FX Lightsaber while it’s still on sale on Amazon.ca.